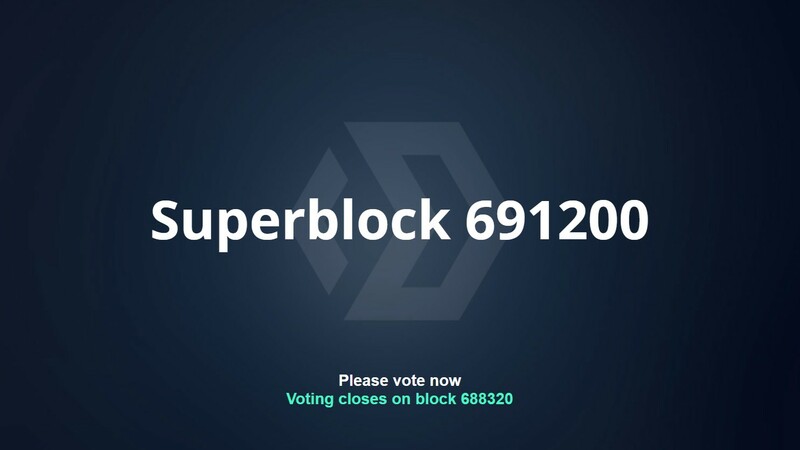 Please vote for the latest Community Superblock! The proposals for superblock 691200 can be viewed below or on the forum here. Voting will close at Block 688320, but your node must remain active until block 691200 for your vote to count. Please note, proposals are being submitted individually so please make sure you scroll down and take your time to look over each proposal. @808 / Bob as Art Director, will take lead on overseeing and creating Blocknet visuals and design. In particular, Bob will work closely with other team members to find the best solutions for Blocknet’s visuals needs. This entails taking responsibility of the overall visual appearance of Blocknet and how it communicates visually, stimulates moods, contrasts features, and psychologically appeals to a target audience. Bob is given a task and figures out the visual elements, what artistic style to use, and when to use motion, stills or other means of expression. I started working for the Blocknet in December 2017 by creating the Blocknet Introduction video. This led to further collaboration as a vendor to the project. The visuals and designs developed for the introduction movie and the designs from VSA are the foundation of what has been the visual style of the Blocknet brand today. I have been responsible for the creation of all visuals for Blocknet. Besides producing media, I’ve been part of Blocknet brand leads, consisting of myself, Shane, PhilipMarshall, Cryptoved and Fattox. Providing community, the team & brand-leads with media content. Working on the Protocol Webpage. Creating Walk-through instructions for the media/ template library. Create design elements for the Blocknet wallet. Finishing the new roadmap and diagram template. Creating marketing material for Block DX marketing campaign. Continue working on the media/template library. I reduced my salary to be mindful of the current Block price and the feedback I received on salary by snode voter(s). This proposal is for the final phase of XRouter development funding. 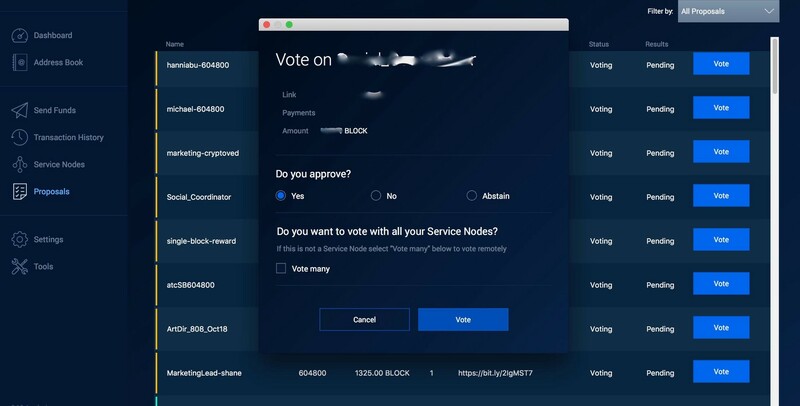 As a core contributor of Blocknet, I take part in many daily tasks that help keep the project running smoothly, as well as larger tasks that move Blocknet forward. Putting in an average 60 hours a week, I partake in projects that build Blocknet’s foundation and assist in other projects in order to help meet objectives. This proposal is for compensation to allow me to continue contributing to Blocknet. Below is a list of items I have been working on the past month. In addition to daily tasks, the following list are main items I plan to be working on. Keep in mind that some of these may not be completed this month or may be pushed back due to a change in priority. Work has begun on these items with the plan to release a majority of it throughout the next month. As a retainer to continue contributing to this project, the above amount is requested for this Superblock with payment to be made out of the community funds if the proposal passes but is bumped. First demo of the simplified ledger web wallet shown to the dev team. A bug to sort out when the tx is broadcast. Python trading lib + documentation to be pushed soon to github (after review of dev team). Social Media Content Curation (contribute posts on Twitter, Facebook, Facebook Group, Instagram and other social media. Collaboration & Editing of Current and Upcoming Articles. Collaborating on Current & Upcoming Marketing Initiatives with the Marketing Team (strategies, advertisements, content, etc.). We have a strong community of loyal BLOCK holders, but we have very few superfans who consistently shout from the mountaintops about Blocknet. We need superfans to help build more excitement around using Block DX. We need many more supporters who are excited to share Blocknet and Block DX with others. This proposal intends to address this void by creating a number of new marketing strategies, including reward bounties and initiating deeper engagements with our compatible coin communities. Goal: To create and encourage a growing community of passionate individuals that are excited to help spread the word about Blocknet and Block DX. 1555 BLOCK (1000 BLOCK for bounty rewards fund; 555 [$1000] payment to cryptoved to organize & oversee the initiative). I am asking for BLOCK and BTC donations from the community to fund this program, and if our target isn’t met, to use community funds to complete our funding. Cost Assessment: Total: 2300 BLOCK from Superblock (BLOCK @ $1.65). I am submitting two proposals because a single proposal no longer fits in the Superblock. Our community funds are now very important in supporting the core development of the project. I am working heavily on improving the performance and security of the XBridge Blocknet protocol and this work will continue through December. I’m working on improving XBridge concurrency (multithreading) to allow supporting 100+ coins on a single service node. I’m hardening the security of the XBridge protocol. Additionally, I’m conducting code reviews on Block DX and XRouter development. Improve the performance of Blocknet RPC calls to support high frequency trading bots. Service node and trader node security checks and improvements. We are really close to releasing XRouter. We’re working on performance issues and security. I will be helping the team with these tasks. A new Accounts screen was designed by Hanni. The goal with this screen is to show the user their addresses and the balance for each. The payment will be made out of the community funds if the proposal passes but is bumped. As we continue to strike a balance in decentralization and pragmatism it is important to have a channel where partnerships, prioritization and performance can be discussed. The Strategy channel offers this. Following on from the recent addition of Discord community member @redactedman to the stratagy channel, the strategy team would like to propose another two additions to the strategy group. Some community members are creating projects and work that is beneficial to the overall strategy of Blocknet and have been putting their ideas into action. We feel these type of contributors should be nurtured and encouraged. To that end, the strategy team would like to nominate Discord community members @littleeagle and @ishkb1 to become a part of the strategy team. If this proposal passes, it will also result in the balance of paid and unpaid members of the strategy team being more even. Creation of the auto-mentions Discord bot which tracks mentions of Blocknet-related terms on Reddit and BTCtalk in realtime and relays them to the Blocknet Discord for engagement. Added Blocknet to https://github.com/evbots/dex-protocols site and https://github.com/distribuyed/indexsite. Created Blocknettalk.com forum which automatically copies over chats from Discord in real-time. The purpose of this is so Google can index Discord discussion topics to improve discoverability of Blocknet when people google Blocknet-related terms. The forum has attracted 6,000 hits since launch. Continued contributions to ongoing chats, ideas and discussions in various discord channels. Because these initiatives have an impact on marketing, it would be beneficial to the marketing and strategy teams, as well as to @littleeagle to work more closely on these items to ensure no duplication of work takes place and so the best outcomes for Blocknet as a whole can be achieved. In addition, @littleeagle can offer advice on web-related projects, internet marketing and search engine optimisation. @littleeagle is not seeking a paid position or compensation. Track the latest repos posted on github for supported wallets. Allow users to compile a list of these wallets they want to track updates for on their node. Allow users to easily update and upgrade their wallet using predefined scripts which can be user audited before execution. Provide an exchange calculator based on CoinMarketCap and CoinGecko to translate values between any crypto currency. This is useful for setting up new trades. Montering of current and previous superblock proposals. A service node tracker to see the active service nodes and their supported wallets. Current open orders and those which are closed. An overview of the blockheight for all supported crypto currencies. 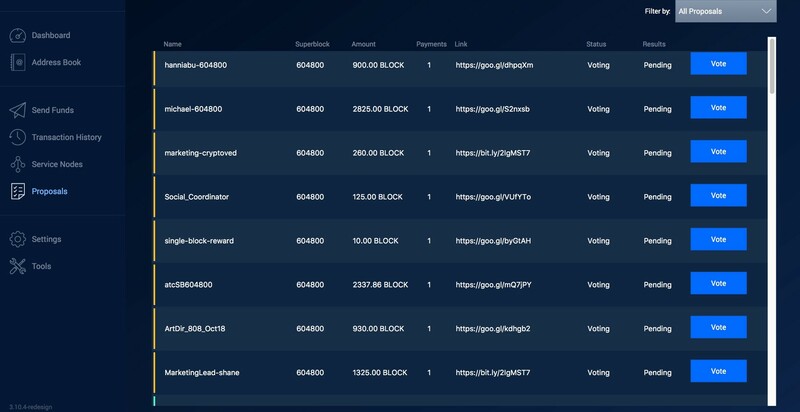 A supported wallet overview showing more detailed info and allowing users to contact the team using the provided options. A reward calculator showing staking and node revenue. A new wallets search to allow searching for the latest wallet without having to login. An Xbridge generator as an alternative to the built in wallet version. Several different API’s to be used freely. Options to have users leave comments per wallet version so they can inform devs or other users on certain topics. Blocknet nodes are a key factor of the Blocknet network and are integral to the success of the network. Improved maintenance and monitoring of nodes (as block-node-info provides) is beneficial to the entire network. The website is designed to be part of the blocknet landscape and @ishkb1 does not regard the website as being his. Because of this, it would be beneficial to the strategy and marketing teams, as well as to @ishkb1 to work more closely on these items to ensure no duplication of work takes place and so the best outcomes for Blocknet as a whole can be achieved. @ishkb1 is not seeking a paid position compensation. This proposal was co-created by ishkb1, littleeagle and philipmarshall with review by the rest of the strategy team. Key focuses this upcoming month include further maturing the AWS environment for version update pushes to the auto configuration repository + autotesting, updating all of our blockchain bootstraps on S3, ongoing XRouter battle testing + improvement recommendations, ongoing Blocknet-related support, plus ongoing XBridge/DX UI feature testing, error tracking, and recommendations based on chain updates. This proposal is for use of the Burn Fund (BpzPFJaaKQVSvfiH7zXSUdPBrBnfx9v26V). With the current funds in place (not including the Burn Fund) and assuming steady state expenses and market ($2.10/BLOCK), it is estimated that the runway is roughly 2 months. At the end of this runway, all Community Funds will be completely diminished and financing will be 100% reliant on the Superblock, at which point resources and progress will be drastically diminished. This is why the team proposes utilizing the Burn Funds. With the use of the burn funds, again assuming steady state expenses and market ($2.10/BLOCK), it is estimated that the runway would be extended to 7 months. This runway would increase with an increase in the price of BLOCK.